Difficult situations are inevitable in a service industry especially when we deal with various customers who are bent on getting their way. 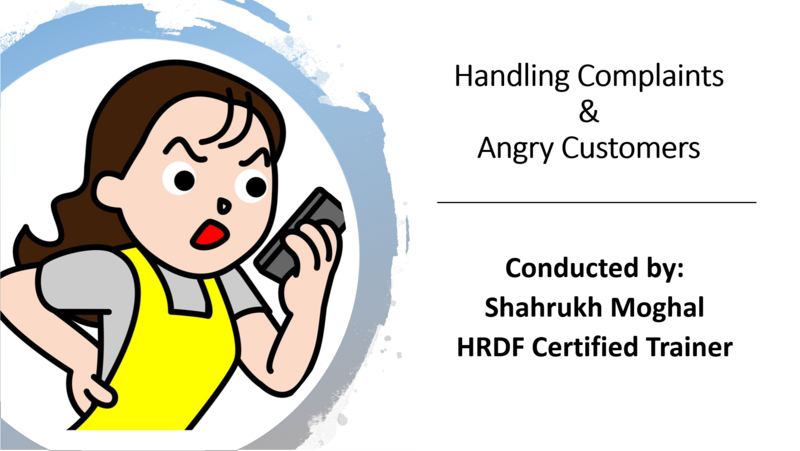 A complaint is basically an expression of customer distress towards a situation that differs from his expectations of the service rendered. Although a complaint implies negative ramifications, it actually presents the service provider with the opportunity to offer redress and restore a customer confidence, as well as attaining customer satisfaction. Neglect or mishandling of a complaint would have serious repercussions to the service organization by way of loss of customer and subsequent damage to the organization's reputation. The difference between the service rendered is easily measured by the method of handling complaints and recovering from difficult situations. Understand the reasons customers become difficult and work towards preventing such situations. Foster discussions and understanding on the nature of a dissatisfaction. 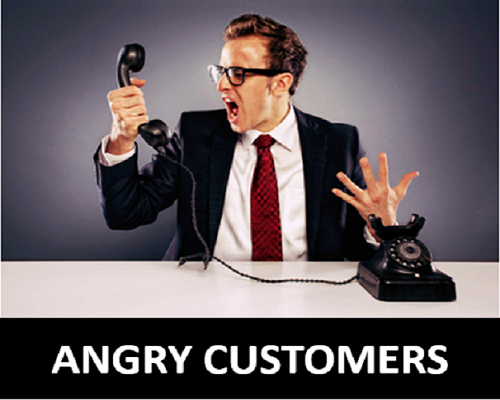 Understand and manage our emotions when dealing with different types of customers. Value and welcome complaints as opportunities to provide redress and attain customer trust and satisfaction. Acquire skills to handle difficult customers. Learn to say YES! Even when it seems like a NO! Know the usage of correct words, tone and body language when dealing with various types of difficult customers. Know the necessary steps to be taken to solve a complaint (listen, understand, identify, discuss solutions and solve). Employ powerful service recovery methods to renew customer confidence and increase loyalty. The individuals who provided the following testimonials were employed in their respective organisation at the time of Shahrukh Moghal's training. There is no guarantee that they will all be still working in the same organisations.